I can’t even begin to think of the amount of socks I have shoved into various project bags around the house that I’ve started and made just one sock or started and never finished. I guess I should find them all before I do what I’m about to attempt. This year, 2015 will be the year of No Sock Standing. 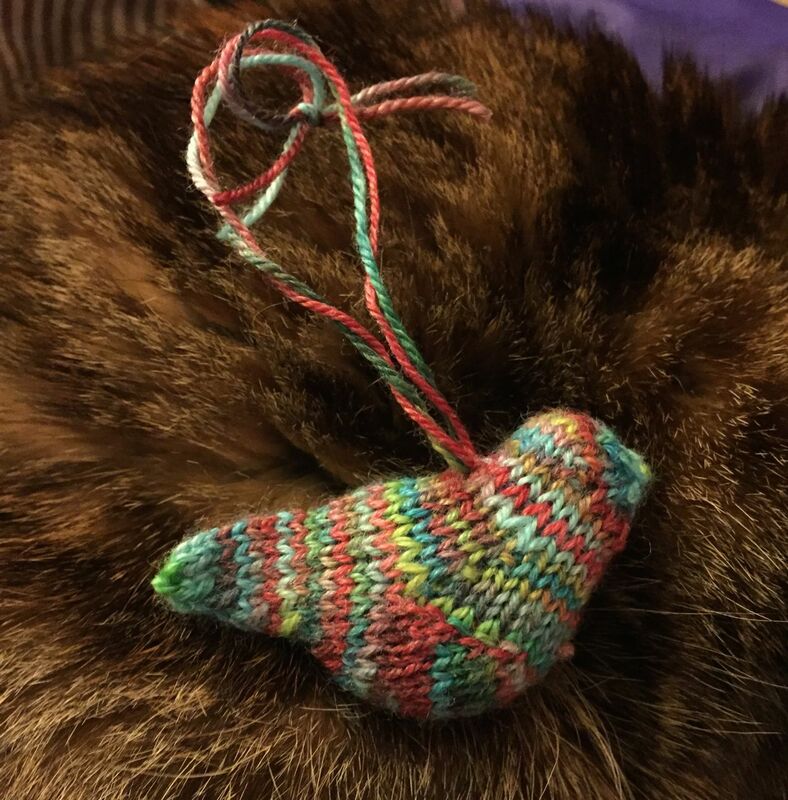 Any socks in progress in my house (or car) that I can locate – will be finished. 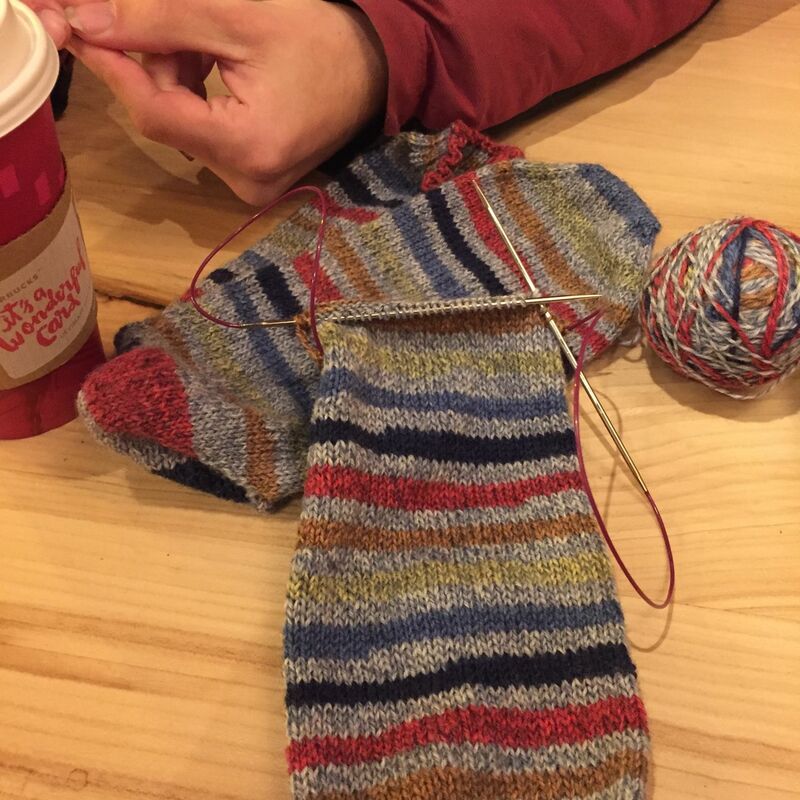 By December 31, 2015 at 11:59pm I want to be able to break out the needles and cast on a fresh pair of socks with yarn purchased for the occasion as a reward – and have those as my ONLY socks on the needles. As tempted as I am to join the Instagramers that are doing a mystery sock club, I need to be responsible and finish what I’ve started. I haven’t counted but I’ve knit around 20 pairs alone this year and hopefully another one will be off the needles by tonight (maybe two if I can get working). I have a pair of Firestarters I started in 2008. Just one sock! This is going to be a huge feat for me if I can pull it off between school, work, and working with Arcane but I need to set myself some knitting goals and stick to them for once. 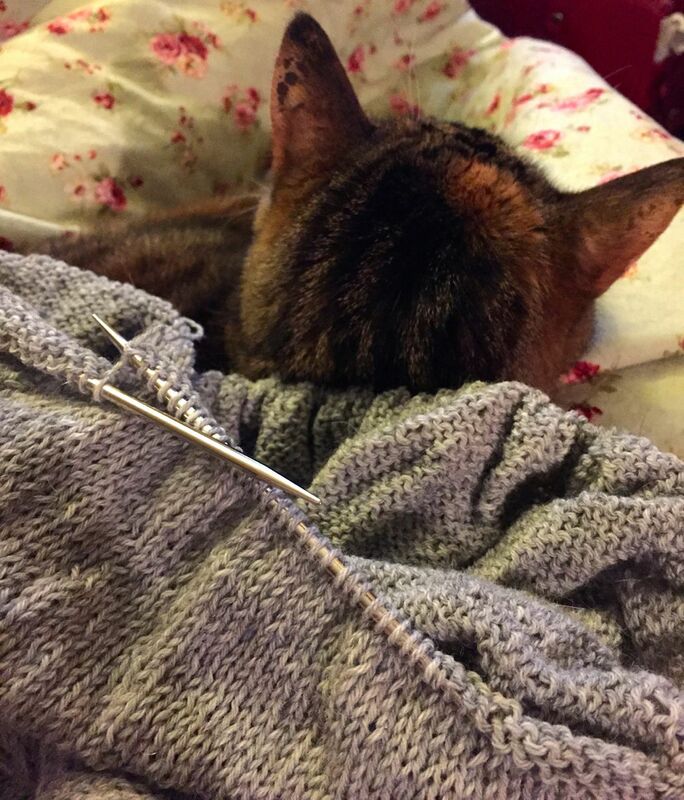 I would also like to get both sweaters off the needles and finish at least one of my blankets that I’ve been working on forever. 2. Any pair of socks already started must be finished by December 31, 2015 at 11:59PM EST (or PST if I’m visiting either of our families out there). 4. Finish at least 1 blanket that I’ve started. 5. Spin at least 15 minutes a day either on one of my wheels or my drop spindles. I am going to be working on new socks, because I can and I want to. I plan on knitting along with the Desert Vista Dyeworks Sock Club. I’ve got January’s yarn already wound and ready to go. Three more skeins are on the way and I’ve got one more in my stash so I’m good for the first five months! I knit my first pair of socks with her yarn this year and I love how squishy the yarn was and how well they’ve worn. I’ve been keen to knit some more but a certain horse has taken most of my yarn budget, but I couldn’t resist some of her holiday Zombody color ways. If anyone wants to join No Sock Standing feel free to join in on Instagram and Ravelry #nosockstanding2015.